WOW WOW WOW! 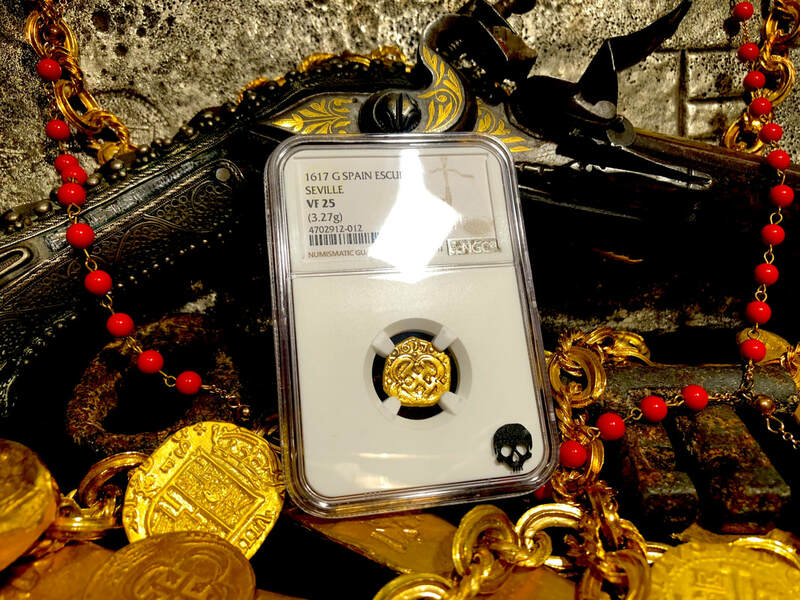 Check out this Full 4 digit Date “1617” Full CROSS and Tressure, and CROWN, SHEILD!!! 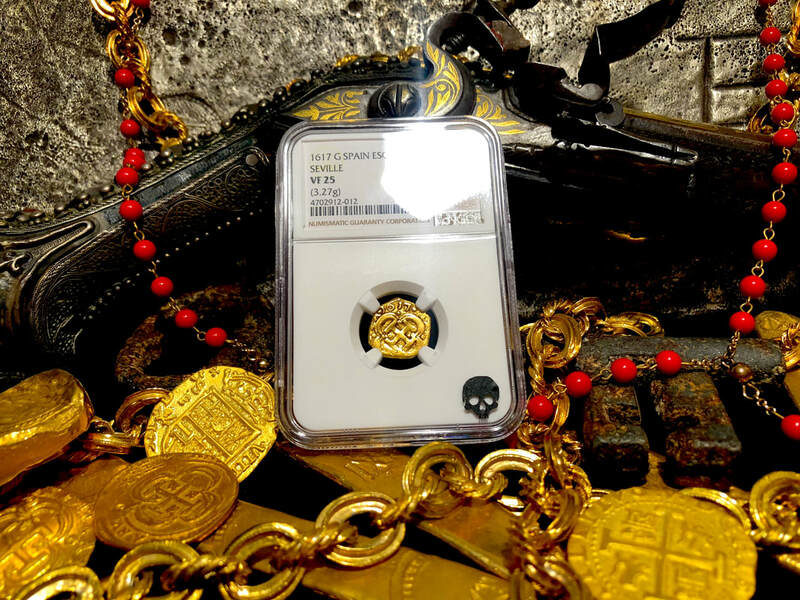 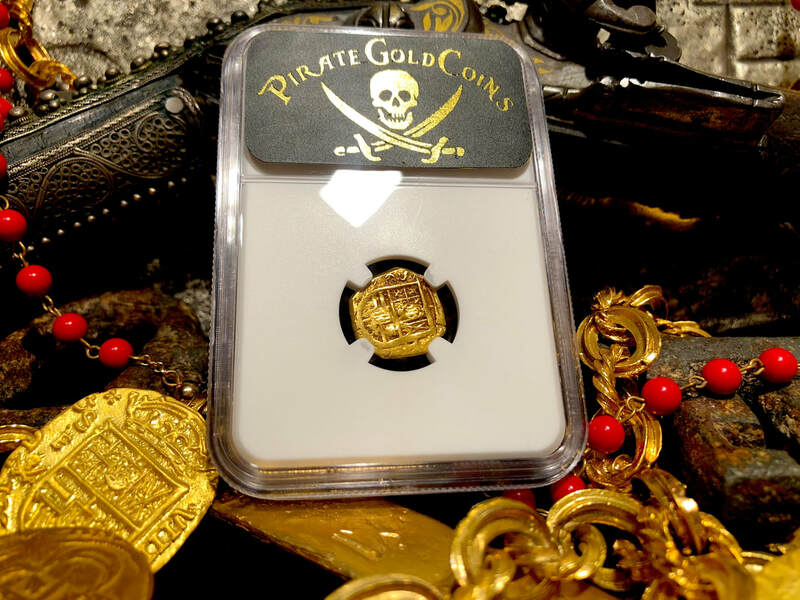 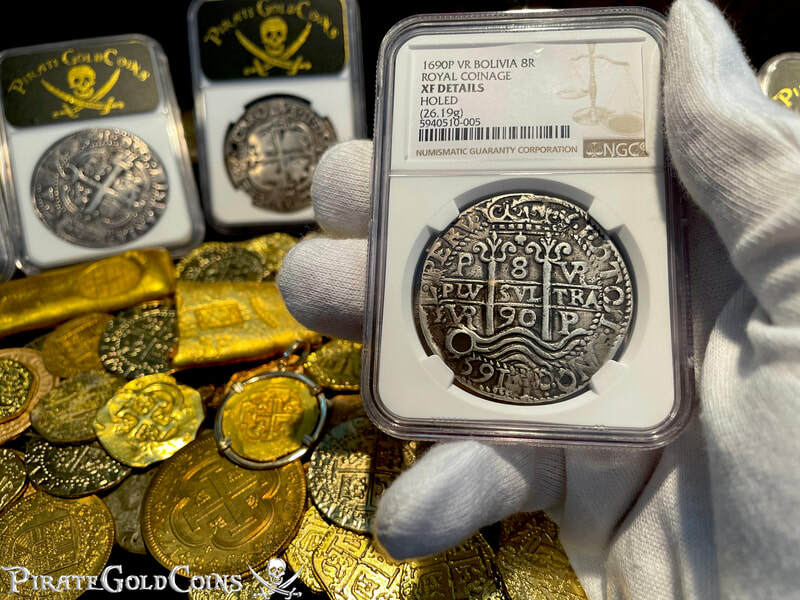 The toning on this piece reflects the very essence of the “Golden Age of the Pirate Era!” Struck from the Seville Mint (Cal.66, Tauler 63) weighs 3.27gm, Assayer G. We have a had a similar (1610) one of these prior years ago that was graded NGC 45 (slightly higher) it’s being offered in our store now at $9950. This piece is very similar and condition (as well as Crown, etc..) and is offered at LESS than HALF the price! 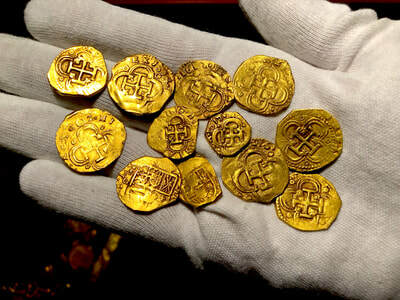 There were approx. 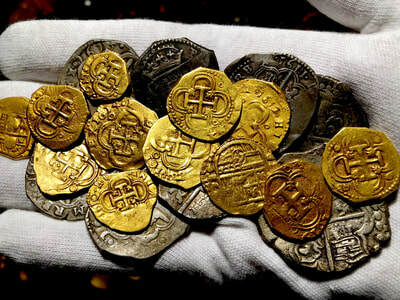 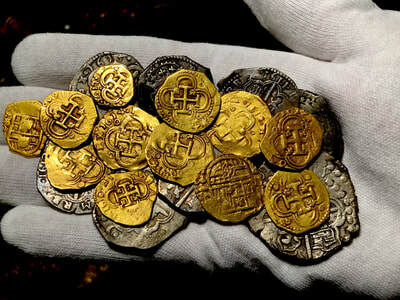 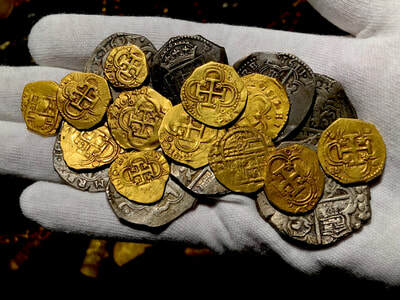 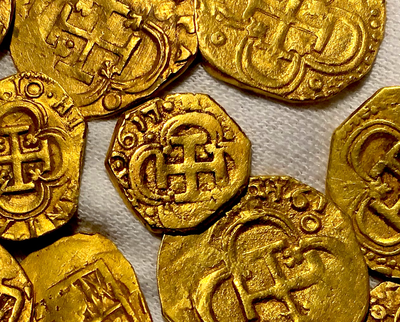 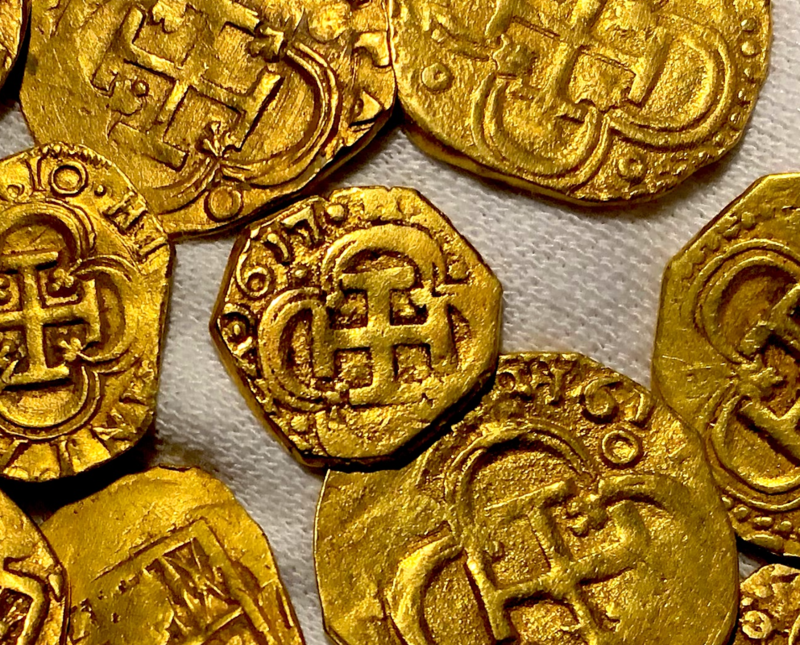 122 Spain Escudos (1’s and 2’s) that were Found on the 1622 Atocha Shipwreck (again, FROM SPAIN), only a couple have been seen with even a partial date (out of those 122 pieces). 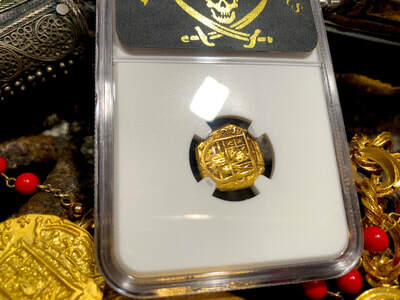 It is NOT documented that this piece was from any shipwreck, as if it was, this piece would be well over $75k!!! All we know for sure is it was from the same Time Era. 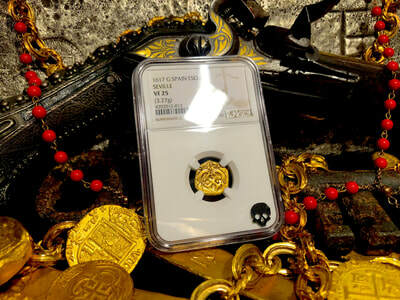 A gorgeous piece that would be a pinnacle in any Advanced Collection!